Missouri will not become the 26th right-to-work state. 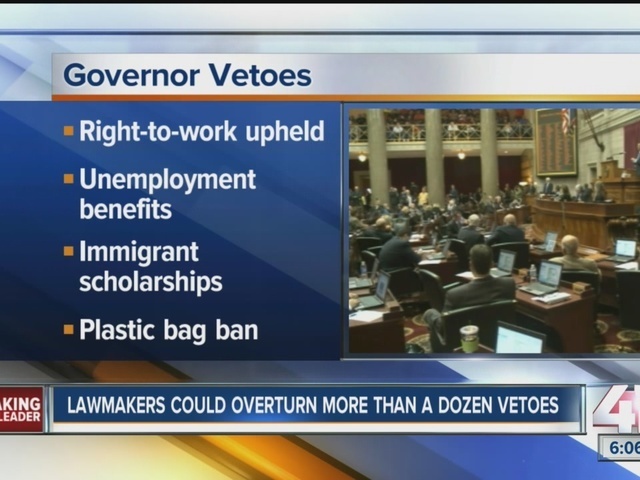 On Wednesday, state lawmakers rejected an effort to override Governor Jay Nixon's veto. The Republican-led house fell short of the 109 votes needed to override the veto, voting 96 to 63. The legislation would have made it a misdemeanor for anyone to be required to become a union member or pay member fees. Earlier in the day, Republicans successfully secured enough votes,114 to 46, to pass a bill that would prohibit cities, like Kansas City and St. Louis, from enacting minimum wages and employment benefits higher than those set by the state. In July Nixon vetoed it, calling it a "clear example of unwarranted government intrusion." "I believe the people in the community know what we are going through. They know what we are fighting for because they are going through the same," said Dana Whittman, who lives in Kansas City and works at a fast food restaurant making minimum wage. "I wake up, I decide whether I'm going to pay the light bill or pay part of the light bill," said Whittman. 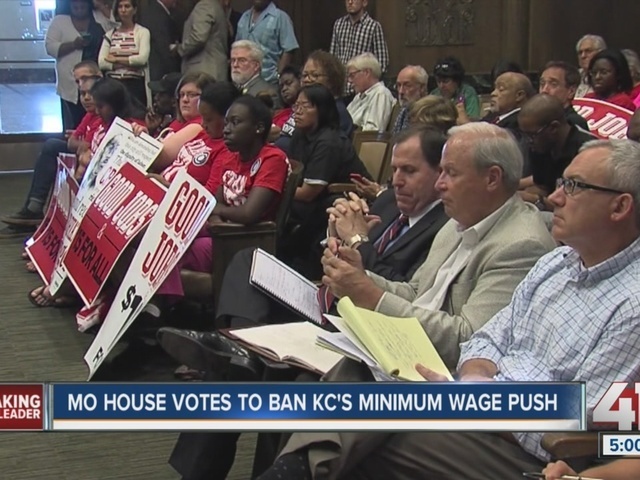 This summer, the Kansas City City Council voted to increase the minimum wage to $13 an hour by 2020. However, several groups petitioned against the measure. One group collected enough signatures for a ballot measure to rescind the hike. Another group met similar requirements to raise the minimum wage to an even higher $15 an hour rate. Lawmakers in Jefferson City disagreed. They said having different minimum wages would create an "economic disaster." "When St Louis and Kansas City take actions, which hinder their economic competitiveness, which kills jobs in their cities, it causes the economic engine of the state to sputter and it hurts my constituents," said Rep. Jay Barnes, a Republican from Jefferson City. The bill still needs to go to the Senate for a vote. State senators need a two-thirds a majority to override Nixon's veto to have the bill become law.